recently while diving in Anilao. I had never seen this species prior to this dive. 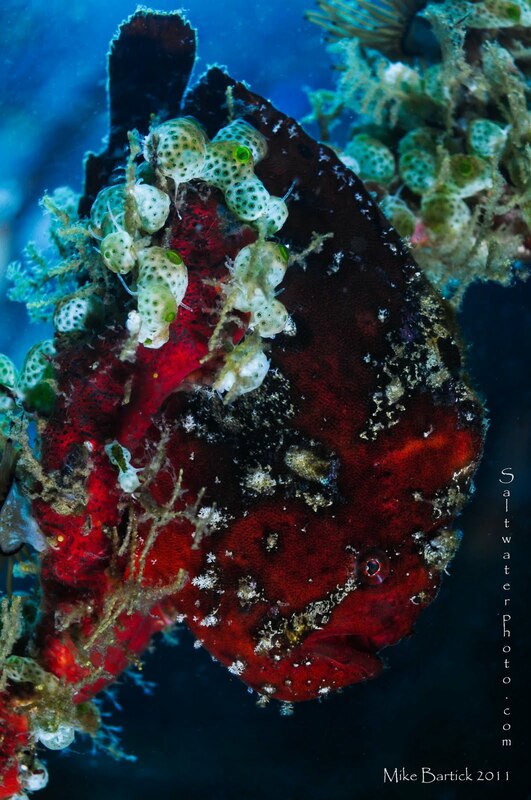 The Philippines are perhaps one of the hottest places to see frogfish in such abundance and variety. Behavior-Frogfish are Lye and Wait predators which means they rely on their appearance to conceal and disguise themselves while waiting for their prey. A lure or Esche is held tightly against its head until an unsuspecting fish gets close. The froggy will lure the said fish close enough to engage its lightning fast strike speed, be sure not to blink. The name i have assigned to this critter may change as the ID has not been correctly determined.